Auto Top Tents by Bigfoot Tents offer a level of fun that you may have ever considered. Auto Camping has enjoyed a renaissance in recent years. With increased fuel costs and a dip in the economy people of all ages have turned to Auto Top Tents. 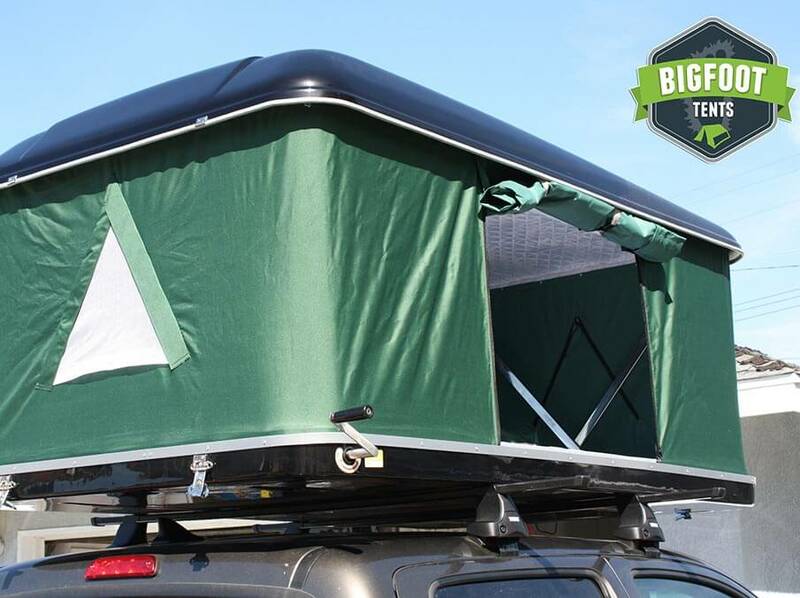 For this reason Bigfoot Roof Top Tents has created the finest Auto Top Tent that you can own. We have created for you a Roof Top Tent that exceeds the functionality and quality of most all other roof top tents available. When looking from roof top tent company to all the nice websites remember it's whats under the hood that counts and Bigfoot Roof Top Tents considers our Auto Top Tent with it's newly designed system and upgraded canvas we know you will fair well in a Bigfoot Tent.